It’s always nice to have recognition for the great things we do as an award-winning firm of Independent Financial Planners in Cranleigh. Over the years, Informed Choice and our team of Independent Financial Planners have received our fair share of industry awards. Here is a selection of the additions to the Informed Choice trophy cabinet. Informed Choice managing director Martin Bamford has been shortlisted for Expert of the Year at the Headlinemoney Awards 2018. During 2017, Informed Choice was selected as a finalist at The Small Awards, Eagle Biz Awards, Surrey Digital Awards and Investment Week Marketing & Innovation Awards. 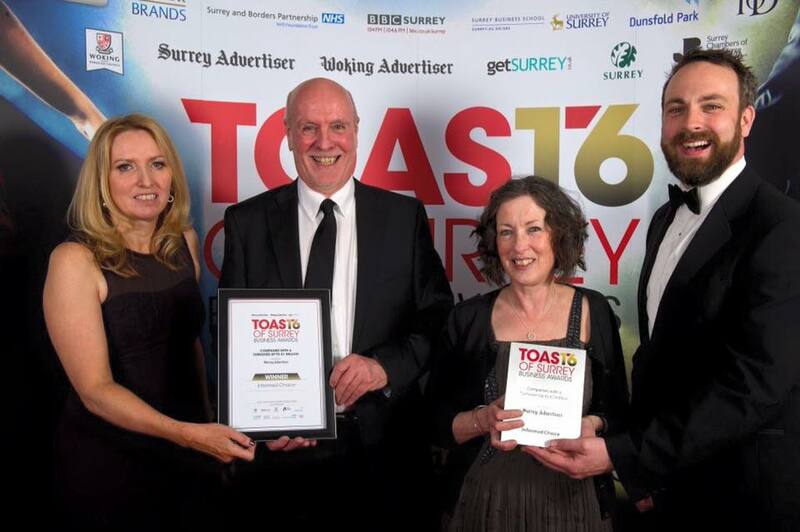 Informed Choice won at the Toast of Surrey Business Awards 2016 in the Companies with turnover under £1m category. 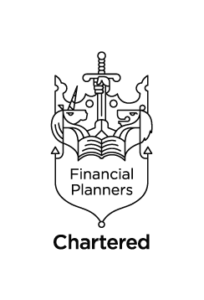 Informed Choice managing director Martin Bamford was named winner of the inaugural Dynamic Planner of the Year award in March 2015, demonstrating his Financial Planning and investment risk profiling abilities. The Gold Standard Awards are the toughest awards in financial services. They assess factors including financial strength, capability to conduct business, fair value, as well as service standards clients can expect. Informed Choice received the Gold Standard for Independent Financial Advice on six separate occasions since 2006. Informed Choice was Highly Commended for Best Investment Adviser at the Moneyfacts Good Advice Awards 2012. Informed Choice managing director Martin Bamford won Best Blogger of the Year at the Unbiased.co.uk Media Adviser Awards 2012. He was a finalist for Investment Adviser of the Year and Social Media Adviser of the Year at the Unbiased Media Awards 2014 & 2015, and Financial Adviser of the Year in 2017. At the Unbiased.co.uk Media IFA of the Year Awards 2011, Informed Choice was crowned Best IFA Firm. Our managing director Martin Bamford was awarded Best IFA Individual and Best Social Media IFA at the same award ceremony. We were delighted to receive the Best IFA Website award at the Professional Adviser Awards 2011. Informed Choice was named Best Retirement Adviser at the Moneyfacts Good Advice Awards 2010. We were a finalist for this award in 2012 and 2014. One of our biggest achievements to date was winning the coveted IFA of the Year title at the Money Marketing Financial Services Awards 2010. Informed Choice won Best Paraplanner Team and Lifetime Achievement Award (for Nick Bamford) at the FT New Breed Adviser Awards 2010.